How long does it need to charge for? I could have sworn I've seen him use it on insta with flower. I guess it didn't come out with the device. Enjoy dude! Yeah its a free upgrade for the beta testers but it will be a add-on purchase for everyone else. Is there a way I can post a video? Just recorded my first dab on her and it did me in! When the dry herb atty comes out I'll order one. Hopefully a different color scheme too. Added by @VapeCritic: Here you go bro! Hi @OhHello did it come with that glass or is that an upgrade? The website confused me a bit. thx. that’s stock.. there’s 2 others for purchase and box says more designs coming soon. I’ve seen colored bases out there as well. And their upgraded glass is reasonably priced. I like the "Helix Original" $125 If I ever buy one (pretty invested in the peak - capture theory) I'll get this glass with it. 30$ for the atomizer. thats a joke!!! They are cheaper than peak ones and they have a warranty. They should also last pretty much forever like the SAI buckets. I think the atomizer that comes with the unit is 30 days? It is 30 days. The Peak was 90 days for the atomizer but I believe they have made it just part of the unit warranty which is one year. I'll verify later but I'm pretty sure. 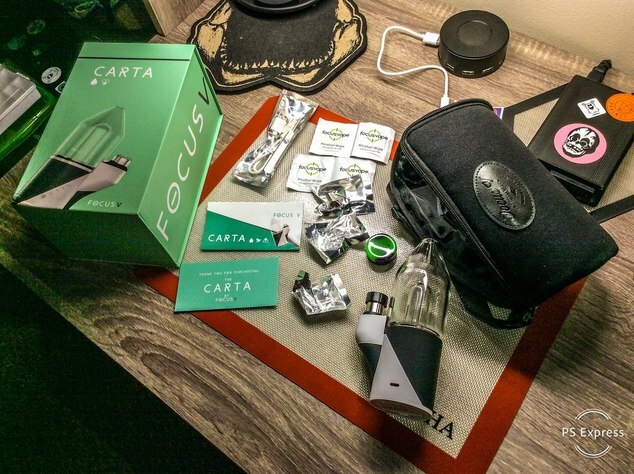 It's really not going to be tough for Focus V to outshine puffco in the customer service area. They have already been doing a much better job, and they don't insult their customer base! if I hadn't been antsy to get an e-nail, I for sure would have snagged this. Guess I have a wishlist item! my V2 is in transit and it's killing me.... I'm stuck with the Ti right now and while I love it, I know how good the quartz tastes. arg, just a few more days! beta people get a free production unit. Extra atomizer and my second helix dome was only 50$. So great deal to be on the beta! oh dang. Guess I missed out! Okay got it and did one session with it , had some issues getting it going. I forget what I did but some sequence of frustrated clicks which made it turn on. LOL thankfully this is only my second session. Think I am missing something. Was okay when I got it going. 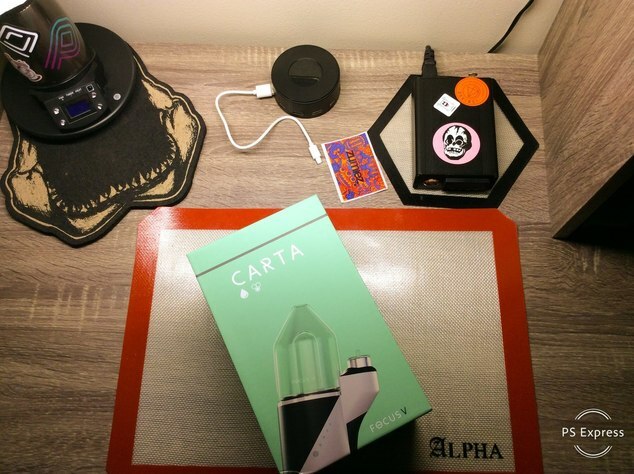 The Carta, whether one buys it or not, is a great gift to the dabbing community. Even for Peak enthusiasts it is a good time. The Peak will become better and as it becomes better so will the Carta. Win-win for consumers. I just bought a Sticky Brick Jr.
New to vaping. MV1 just arrived!